Cuisinart introduces a coffeemaker with retro styling and high tech features, making it the centerpiece of any kitchen. 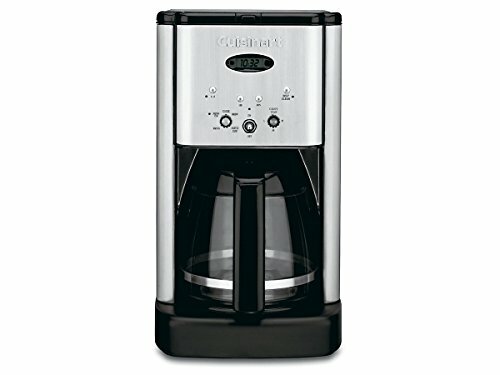 The Cuisinart Brew Central coffeemaker is reminiscent of the days of classic styling and durable materials. A brushed metal exterior with retro-style controls houses the finest in coffee making technology. This fully programmable coffeemaker features 24-hour advance brew start, automatic shutoff, Brew Pause feature, 1-4 cup setting, adjustable heater plate, and self-cleaning function. An audible beep signals the end of the brew cycle. Seal Failures (LEAKING!) on 4 Different Cuisinart Coffee Makers So now I am asking myself why I keep going back to Cuisinart for coffee makers?